His interest in farming blossomed at a young age, as he began driving the tractor for his father when he was only ten years old. Al loved the feel of the soil, but not the feel of rocks, and spent many days picking rocks while lamenting their hindrance to farming. He began renting from his father when he was seventeen and took over the homestead and family farm in 1972. Al met Gloria Jean Friesen in June of 1977 and they were married February 25, 1978. Together, they farmed for 35 years until 2013, when he “retired.” While at the farm, Al enjoyed watching for wildlife, checking the weather forecast, and the progress of the crops. He was known for his knack for farming, with great instincts on when to seed, swath and combine. Al enjoyed watching the Blue Jays — both the birds and the baseball team — reading the Swift Current Booster, watching curling games, and checking out the deals at the Wholesale Club — especially the prices on watermelon. 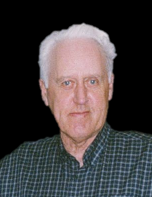 He loved spending summers camping at the Saskatchewan Landing, which meant days spent fishing with his son, his good friend, Lyle Sletten, and Lyle’s son, Chadwick. Allen is survived by his wife of forty years, Gloria; his children, Gerri, Melissa, and Leslie (Colleen); his grandchildren, Hayley, Carson, Nate, and James; his brother, Robert Parker; his brother in-law, Donnie Zinn; his special nephew, Barry (Nola) Zinn; and by many nephews, nieces, and great-nephews and nieces. Allen was predeceased by his parents, Walter & Daisy Parker; and by his sisters, Stella Zeller and Edith Zinn. A graveside service for the family was held on February 10, 2019 at 1:30 p.m. in the Hazlet Cemetery. Memorial donations may be made to the Hazlet Community Hall.